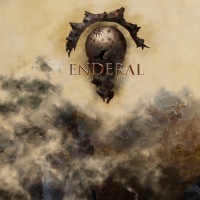 Enderal's original soundtrack was mostly composed by Marvin Kopp, Simon W. Autenrieth, and Andreas Makusev, with additional contributions from Frank Bartholomai (who composed most of the bard songs), Nicolas Samuel Lietzau, Sebastian Löbbers, Philipp Kapusta, Britta Wempe, Jip van Kakerken, Lara Trautmann (better known as Lara Loft), Jerryl, and Jocelyn Ahlf. It can be downloaded here. Special, which play during cutscenes or a "moment of lucidity." World Explore, which play according to where the player character is located (e.g., one will never hear "Enchanted - Verzaubert" or "Path-Abidingness - Der Weg ist das Ziel" in the Powder Desert, just as one will never hear "Fata Morgana" or "Song of Silence - Ein Lied der Stille" in the Sun Coast, Heartlands, Farmers Coast, Western Cliff, or Goldenforst, etc.). City Explore, which play exclusively in the city of Ark, the capital of Enderal. Battle Themes, which play during an aggressive encounter with enemies and bosses. Barden von Enderal, the German versions of the bard songs of Enderal. Bards of Enderal, the English translations of the bard songs of Enderal. Dungeon Explore, which play in the various caves, dungeons, and ruins scattered all across Enderal. Bonus Tracks, which are those pieces of music not played in the game because SureAI didn't think they would fit well enough into some situations. Forgotten Stories, which are the songs for the upcoming Forgotten Stories DLC for Enderal. This track (also available on SoundCloud) always plays at the Start Menu of Enderal, just as the song Dragonborn from Skyrim always plays during that game's Start Menu. This track (also available on SoundCloud) is the first song which plays during the very first quest of the entire game, A Nice Day in Summer. It will exclusively play in The Prophet's dream world, "Home, Sweet Home," which is visited multiple times over the course of the Main Quest. The Dead Don't Forget! - Die Toten Vergessen Nicht! This track (also available on SoundCloud) plays only once, during the quest, A Nice Day in Summer. Its title is in reference to Daddy's outburst in The Prophet's nightmare in which the house explodes in flames and he begins chanting "Bring me a nice, crisp piece of meat!" This track (also available on SoundCloud) plays only once, during Enderal's Intro. This track plays only once, during The Prophet's character creation. This track (also available on SoundCloud) plays on nearly every appearance of the mysterious Veiled Woman (with one exception). It first plays after The Prophet and Sirius have subdued the sailors Rik and Sebald on Captain Rocio's Ship during the quest, A New Life, and The Prophet discovers a rope, which triggers her first appearance. A slightly altered version of this track plays only once, as soon as the quest, A New Beginning, begins and The Prophet sees the Sun Coast for the first time. This track is the first character theme, this one belonging to Jespar Dal'Varek, the first of The Prophet's two romance options. It will play when Jespar is engaged in dialogue with The Prophet. This track (also available on SoundCloud) plays four times: during the quest, Part of Something Momentous, Part I, when The Prophet meets Grandmaster Tealor Arantheal for the first time, specifically when he begins discussing The Cycle, The Cleansing, and Emissaries; during the quest, Part of Something Momentous, Part II, after The Prophet leaves the Strange Place and receives a message from the High Ones for the first time; during the quest, The Lion's Den, when The Prophet receives a message again from the High Ones, this time allowing for more substantive questions which they swear will be answered honestly; and finally, during the quest, The Shards of Order, Part II, when the High Ones contact The Prophet for the last time, revealing Arantheal's dark past. This track (also available on SoundCloud) is the second character theme, devoted to Calia Sakaresh, who is The Prophet's other romance option. Like with Jespar's theme, Calia's theme will play when she is engaged in dialogue with The Prophet. This track (also available on SoundCloud) plays only once, during the quest, Part of Something Momentous, Part III, when Calia and The Prophet take their solemn vows, promoting them to Keepers of the First Sigil. Interestingly, at least on SoundCloud, this song is considered Tealor Arantheal's theme, but since it plays only once, it is difficult to say if it qualifies as such. This track (also available on SoundCloud) plays only once, close to the end of the quest, Deus Ex Machina, after The Prophet wakes from unconsciousness about to be killed by the bandit leader in Old Dothûlgrad and the Black Stone trapped in Calia's body triggers, wreathing her in black mist and summoning the strength to cut him to pieces. This track plays only once, during the quest, The Word of the Dead, as soon as the Aged Man, taking the disguise of a personal servant, leaves The Prophet and Jespar alone in the guest room, remarking that "[y]ou won't hear anything comparable in all of Vyn." This track (also available on SoundCloud) plays only once, during the quest, Angel, when it is revealed that Samael Dal'Galar's "Angel" was, in fact, Calia, who was once Dal'Galar's only child, Maya, and bestowed the name Calia by the Veiled Woman. It should be noted that this is the only time when "The Veiled Woman - Der Verschleierte Frau" does not play during an appearance of the Veiled Woman. This track is the third character theme, belonging to Rynéus Dal'Geyss. It will play for as long as The Prophet remains in the village of Silvergrove during the quest, A Song in the Silence, to which the name of the song is a clear reference. This track plays only once, at the end of the quest, A Song in the Silence, after The Prophet has secured the Black Stone from the recently deceased Rynéus and chooses to honor him with a funeral pyre. This track plays only once, during the quest, Forgotten Homeland, Part I, after Kurmai's Starship, to which the song's name is a reference, lifts off. This track plays only once, during the quest, For the Greater Good, specifically when The Prophet attends Arantheal's speech in response to the Nehrimese forces having breached Ark. This track plays only once, during the quest, The Shards of Order, Part II, after The Prophet, Arantheal, and Yuslan Sha'Rim all enter the mind of a High One, where he betrays them both. "Numinos" is extremely similar in style and structure to "Consecration - Die Weihe," but it ends on a single, long and dour piano note. This track (also available on SoundCloud) is similar to "Song of Silence - Ein Lied der Stille (Dialogue)" in that it will play for as long as The Prophet remains on the other side of the strange portal and engages in dialogue with the Black Guardian during the quest, Fleshless. This track (also available on SoundCloud) is similar to the aforementioned in that it too will play for as long as The Prophet remains in a specific place — in this case, the Sun Temple, during either the quest, Brave New World, should The Prophet choose to flee to the Star City instead of destroying the Beacon, or the quest, Catharsis, should The Prophet choose to destroy the Beacon and sacrifice him/herself. A slightly altered version of this track plays only once after The Prophet completes the quest, Catharsis, where The Prophet's companion will narrate a speech on the sacrifice of The Prophet and how it granted humanity a "moment of lucidity, the chance to start our own walk down a long, rocky path." This track (also available on SoundCloud) plays during the most intimate scenes between The Prophet and his/her companion, namely on the deck of the Starship with Jespar during the quest, Every Day Like the Last, Part V, should The Prophet choose to romance him; in the machinery room of the Starship with Calia during the quest, Two Souls, Part V, should The Prophet choose to romance her; and the end of the quest, Fleshless, should The Prophet make the final decision to destroy the Beacon and leave Jespar or Calia without the person they loved. Additionally, this is the second-to-last song heard in the entire game ("Forgotten Homeland - Vergessene Heimat" immediately follows it). In Nehrim, where it was first featured, the track is erroneously called "Magical Land"
"Barracks" is misspelled as "Barracs." It is unclear if "Suntemple" is an intentional spelling or a mispelling. This piece was composed for the announcement teaser of the upcoming Enderal expansion Forgotten Stories. This track is the character theme for Tharaêl, a new character who the player will accompany through the Rhalâta questline. This track is a new "World Explore" track for Forgotten Stories. This track will serve as an underline for an important quest. This track is the German version of the famous Endralean drinking song. This track is the English version of the famous Endralean drinking song. This track may be either Yuslan Sha'Rim's character theme or the song that will play in the secret, "third" ending. This track plays during the finale of the Rhalâta questline. A sinister new Special track in the Rhalâta questline, composed for the "Refuge," the orphanage in the Undercity. This page was last modified on 28 February 2019, at 13:59.